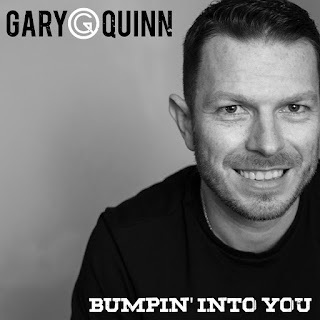 Fresh from a hugely successful tour of Australia with Buckle & Boots Country Festival, multi award-winning singer-songwriter Gary Quinn is set to release his brand new single ‘Bumpin’ Into You’ on April 27th, with pre-orders available right now. Channelling a modern country, mainstream Nashville sound, Gary teamed up with Rob Gulston of Holloway Road to add production expertise at The Banger Hanger. ‘Bumpin’ Into You’ will be Gary’s first official studio release since his ‘I Remember’ EP back in 2016, which debuted at #5 on the UK iTunes Country Chart, and follows an acoustic EP released last year. With several trips to Nashville under his belt, which have allowed him to write with highly-regarded song writing heavyweights, Gary has a lot of fresh material that fans can look forward to. The last trip to Music City in November 2018 included co-writes with William Michael Morgan and Kyle Schlienger (‘In Case You Didn’t Know). It’s been an eventful 2019 for Gary. Most of January was spent touring all over Australia with fellow UK talent as part of the Buckle & Boots tour. He performed in Brisbane, Toowoomba, Twin Towns, and also Tamworth, where he played on the huge International Stage at Toyota Park. Gary also recently took part in Country On The Clyde and is looking forward to taking the stage at Buckle & Boots and Dixie Fields Festivals later this year.